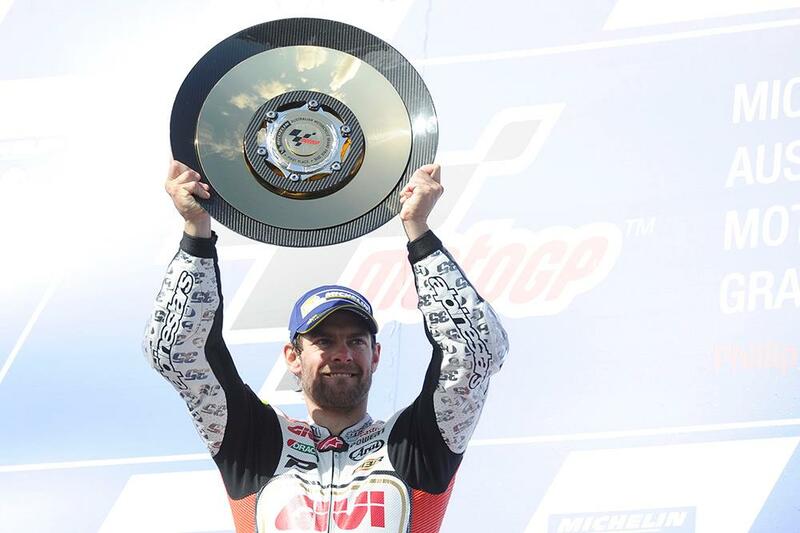 Cal Crutchlow has admitted that he targeted victory at last weekend’s Phillip Island round of the 2016 MotoGP season, knowing from the start of the year that it would be possible to take victory there if the stars aligned. Targeting podiums at Silverstone and Brno as well as success means that the Brit has now outdone himself with his second win of the year - but he told MCN after the race that the Australian success came as no surprise. “There’s no doubt that I’m in a good moment in my career. I said that a few rounds ago, so I guess that means it’s getting even better. I targeted a few races this year and said I wanted to be on the podium there, and I’ve had a really good year. Someone asked me last week what I thought about going to Phillip Island and I said I planned to win – and they didn’t believe me, but that was the plan. But there was one little taste of regret for him in Australia, taking the second Grand Prix win of his career – and once again having wife Lucy and new baby Willow back at home in the Isle of Man.